Brightening up the dull afternoon at Bewdley on 19 May 2016 are: 73952 Janis Kong & 73951 Malcolm Brinded. 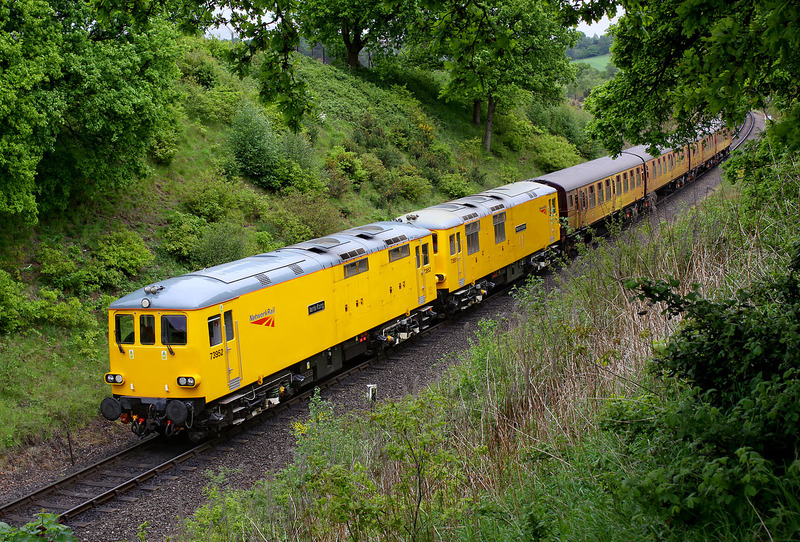 The two visiting Network Rail 73/9s were one of the star attractions at the Severn Valley Railway's Diesel Gala. They are working the late running 15:01 Kidderminster to Bewdley service.